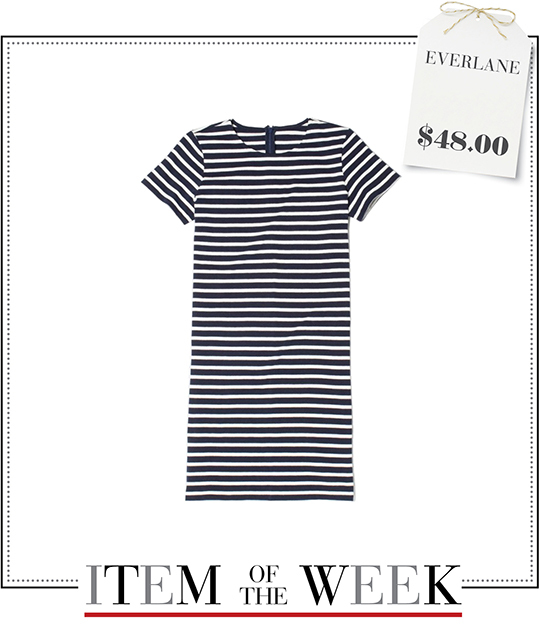 A classic striped shift dress from Everlane. See how you can coordinate your wardrobe in 5 different ways with 1 item, under $100. Monday Rainy: This adorable rainy day ensemble can make even the dreariest downpour tolerable. 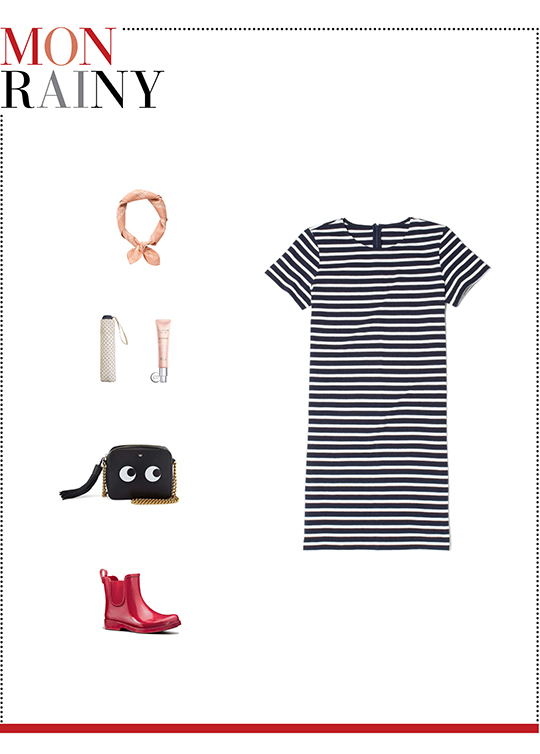 First, team up Everlane's striped mini dress with a pair of rubber Chelsea boots and an eyes-embellished crossbody bag. Next, tie a beige bandana around your neck and put on some BB cream to freshen up your look. Lastly, grab a polka-dot umbrella on your way out. Tuesday Hot: As far as fashion is concerned, stripes are neutral--especially in the summer. 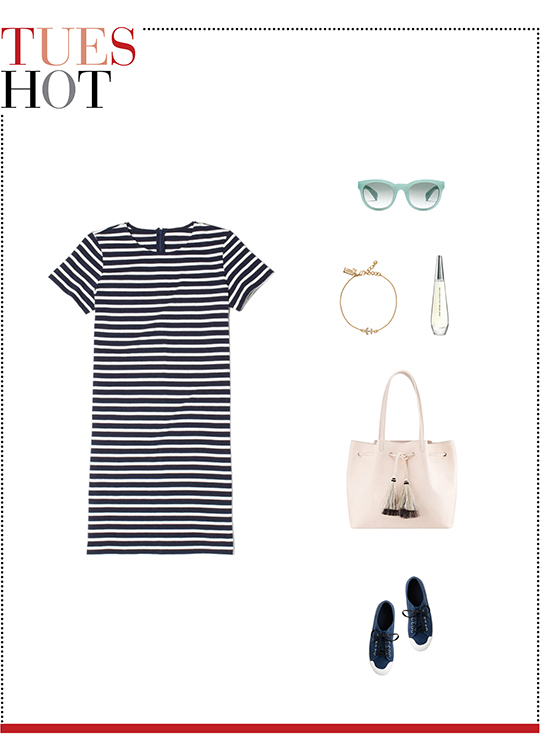 Perfect your hot weather style with Everlane's striped shift dress and these city essentials: a pair of mint frame sunnies, an anchor solitaire bracelet, a light pink drawstring tote, navy canvas sneakers, and floral fragrance. Wednesday Office-friendly: Sleek, comfortable, and ideal to wear to the office, this is your 9-to-5 dream team outfit. A fitted one-button blazer, a double-wrap watch, a pair of cap-toe flats, a canvas bucket bag, Tuesday's fragrance, rosy tint lip balm, and this week's cotton dress will add a touch of sophistication to your office repertoire. 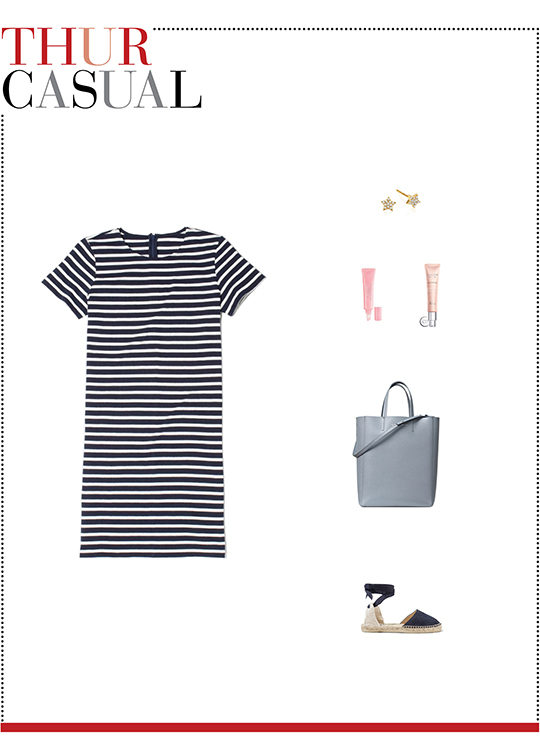 Thursday Casual: Reinvent your summer uniform with this week's striped mini cotton dress. Style this classic summer frock with these five chic casual staples. Try a pair of tiny star stud earrings, a blue leather shopper tote, suede espadrilles, Monday's BB cream, and Wednesday's lip balm. 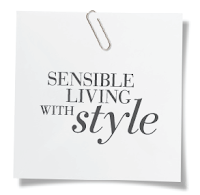 Friday Dinner Plan: Create a dinner attire that's edgy in aesthetic and irresistible in appeal. Wear the Everlane dress under a pink biker jacket and pair with a heart-embellished pouch, suede wedge sandals, and a gold-plated cuff. 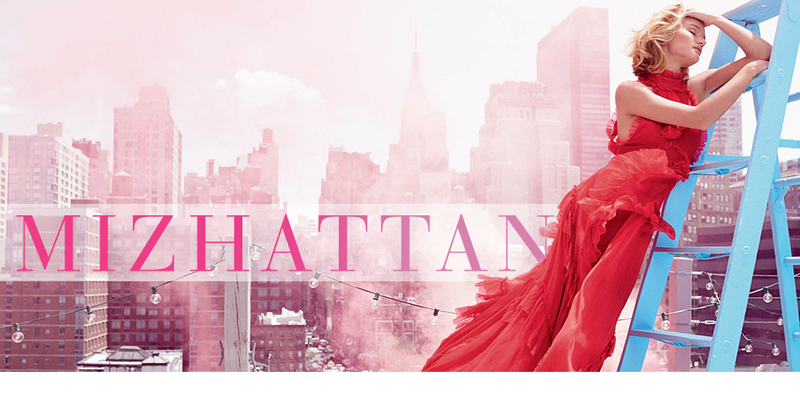 Finish your look with pale pink nail polish.